Artificial Organ Leadership Team- Cleveland Heart - Chairman, Board of Directors KH Lee JD and Chris Kim JD winning team with Cleveland Clinic doctors. 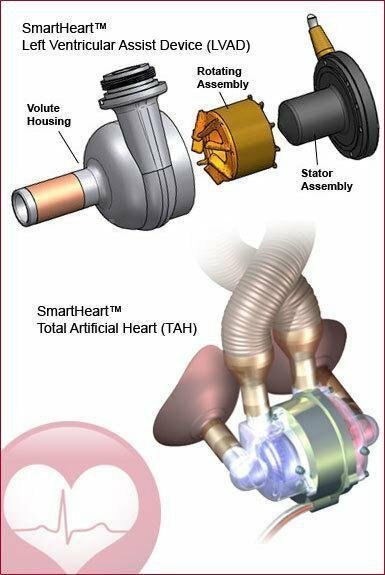 Cleveland Heart Inc. has received a $30 million investment that will aid efforts to bring its version of the Total Artificial Heart to market. That medical-device company is a joint venture between Charlotte-based Trans-World Medical Devices and Cleveland Clinic Foundation, the corporate venture arm of the Cleveland Clinic. The investment was made by a Korean private-equity group, known as the Power Heart Consortium. Cleveland Heart says the money will be used for further development and clinical trials for its artificial heart. The device will replace a patient’s heart prior to a transplant. “It would be equivalent to a heart transplant, that’s our goal.” Says Dr. Charles Richardson, Chief Executive. The outside investment will finance clinical trials for the company’s ventricular-assist devices, which help a weakened heart continue to pump blood. Dr. Richardson anticipates Cleveland Heart will complete another capital raise as early as this coming fall as it pursues commercialization of its technology. These devices will serve as a bridge to a transplant for end-stage heart-failure patients, says Dr. James Young, Chairman of Cleveland Heart. Young is also Chairman of the division of medicine at the Cleveland Clinic Foundation. “The advantage of this company is that it’s going to have a complete spectrum of devices that clinicians can use,” he adds. Roughly 23 million people suffer from heart failure worldwide, including 5 million Americans. Up to 2,500 people receive a heart transplant in the United States each year. But another 25,000 die while waiting for a donor heart to become available. “It’s almost a necessity. Think about the people who are going to die because they can’t get a transplant,” says William Warrender, senior general manager for device commercialization for Cleveland Clinic Innovations. Yet there are just a handful of devices on the market, including one other artificial heart, Dr. Richardson says. Cleveland Heart estimates up to 10,000 people will need an artificial heart annually. The company believes the design of its devices will help set it apart. They have fewer moving parts, feature a special biomedical coating to prevent blood clots and can auto-regulate how hard the blood pump works, he says. Both devices fit into the palm of your hand, allowing the technology to be utilized for children, women and men. “It’s completely different than anything else that has been produced,” Richardson says. The company first wants to bring its Left Ventricular Assist Device, known as an LVAD, to market in Europe. A similar model for right ventricular failure also will be developed. The National Institutes of Health estimates 100,000 U.S. patients annually could benefit from the LVAD technology, which can be utilized until a donor heart becomes available. The company also will seek U.S. Food and Drug Administration approval. Clinical trials could begin within two to four years, Young says. 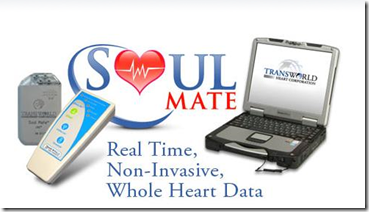 TransWorld Heart Corporation of Charlotte, NC, was founded by Dr. Charles Richardson in 2004. The company developed an implantable device intended to replace routine post-transplant heart biopsies. TransWorld’s Soul Mate implantable system analyzes 9 intramyocardial electrogram parameters recorded from 4 or 6 configurations of 2 or 3 epicardial leads to detect allograft rejection. Click here for paper: T. Horay, et al., “Novel Implantable Device to Detect Cardiac Allograft Rejection”, Circulation. 2009;120[suppl 1]:S185–S190.